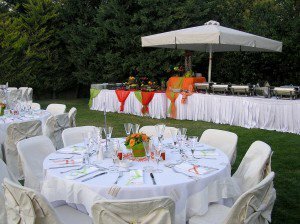 Specializing in custom catering with one-one-one consultations to develop	and craft a menu to fit any party, depending on theme, budget and overall	expectation. 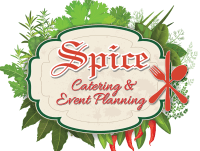 Spice Catering will bring everything your event needs to	your home or location of choice. We guarantee quality food from appetizers	to the dessert with presentation to exceed your expectations. We provide	a talented, knowledgeable staff, and can supply linens, table settings	and much more. Let us work with you to create the prefect event including, but not limited	to, Engagement Dinners, Bridal Showers, Jack & Jill Parties, Cocktail	Parties, Rehearsal Dinners, Weddings, Baby Showers, Christenings, Communion	Parties, Group Luncheons, Anniversaries, Honeymoon Bon Voyages, Brunches	and any other event you can imagine from Clam Bakes to BBQ’s!